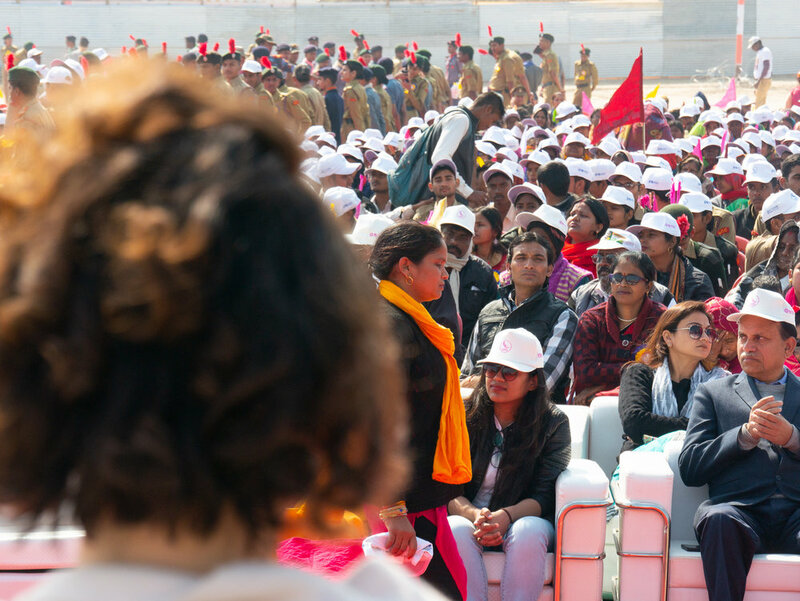 On 28 Jan 2019 Devi Mohan represented Mohanji Foundation as its Global Ambassador at the Women’s Empowerment Conference “She is the Solution: The Summit of Grace” at the world's largest public gathering and an act of faith - the grace-filled Kumbha Mela in Prayagraj (Allahabad), India. 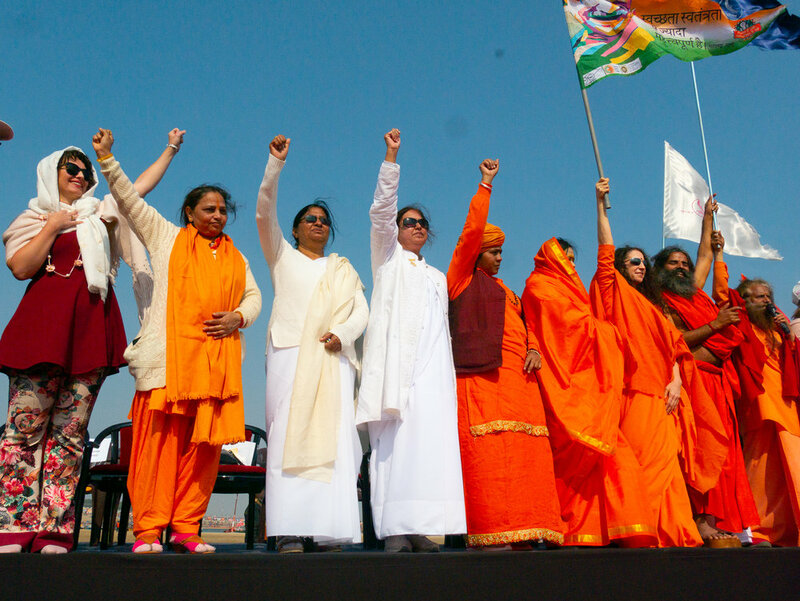 The event was hosted by HH Pujya Swami Chidanand Saraswati and Sadhvi Bhagawati Saraswati from Parmath Niketan. The list of honorable guests who participated at the panel at which Devi spoke on Jan 28th included Anandmurti Gurumaa, Amma Sri Karunamayi, Haris Silajdzic, former President of Bosnia and Herzegovina, and his wife Selma, Sue Coates - Executive Director of WSSCC, Sadhvi Om Brabha Bharti from Divya Jyoti Jagrati Sansthan, representatives of UNICEF, representatives of Brahma Kumaris, etc. The day ended with a beautiful Aarati at the confluence of the river Ganges, Yamuna and Sarasvati which was sacred and memorable. On 29 Jan 2019, the 2nd day of The Summit of Grace at the Kumbha Mela in Prayagraj, Devi was participating in the program on stage with thousands of people in the audience. Aside from the loving presence and speeches of the dignitaries from the previous day, the highlight of the event on 29 Jan was the enthralling speech of Baba Ramdev, who spoke with great passion, love and humor about the challenges of the common people of India and the way forward in solving those problems, raising the status of women of India to what they truly deserve. Devi was honored to contribute to a noble event with a powerful message ever so relevant for the women of India and the world.